REP. Gwen Garcia of One Cebu and Davao City Mayor Sara Duterte of Hugpong ng Pagbabago will officially seal their alliance by signing an agreement this Friday morning, March 22, in Liloan, the Cebu town in the fifth district which delivered the biggest majority for President Rodrigo Duterte in the last elections. 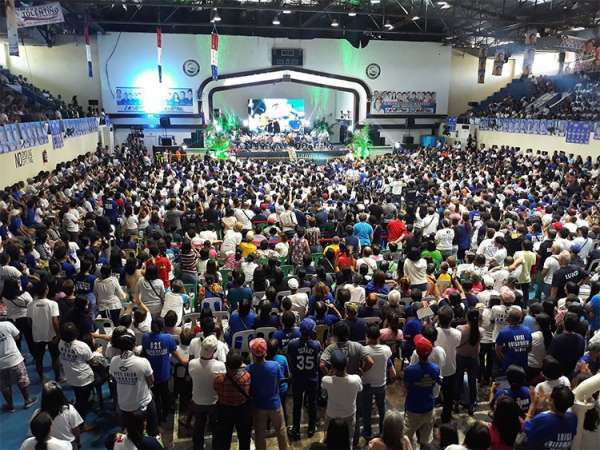 The political alliance is seen to produce a strong partnership for the two parties, with HNP forming alliances in various regions nationwide, and One Cebu having a complete slate in all 44 municipalities and seven cities in the province for the May 13 elections. Sara, together with HNP senatorial candidates will also have campaign rallies in Liloan and Danao City. One Cebu, with all its candidates across the province, will support the senatorial candidates endorsed by Sara and HNP. To welcome Sara in Danao City is her aunt, Eleanor Duterte, who is running for mayor against incumbent Ramonito Durano, and Red Duterte, who is vying for board member, together with Mike Villamor of Carmen town. Liloan is headed by Garcia’s daughter, Mayor Christina Frasco, wife of former mayor Duke. In early December, Duke and Christina accompanied Garcia to see Sara, where the signing of the alliance of the two parties was agreed on.